It was a sunny afternoon and I had just gotten back to Zaragoza’s train station after a few days spent down south exploring Mudéjar-style Teruel and the medieval village of Albarracín. My night train back to Santiago de Compostela wasn’t leaving until later that evening, so I decided to make the most of this layover and spend the afternoon and early evening exploring Huesca, an off-the-beaten-track provincial capital to the north. As I rode in the single-car diesel train, the Aragonese Pyrenees mountains came into view, the natural border separating Spain from France and beyond. Huesca (pronounced “WEHS-kah” [ˈwes.ka]) holds a commanding position on the plains just outside the foothills of the Pyrenees—the historic core of the medieval kingdom of Aragón. In the surrounding region outposts like Loarre, Sos del Rey Católico, and Jaca whisper memories of a time when “Spain” was merely a collection of ragtag lordships based in the mountains. Heading out from the train station along a warm, straight avenue, I stopped in a snobby restaurant, sat down at the bar, and ordered a pick-me-up cafe bombón: a shot of espresso poured over sweetened condensed milk. Declining the provided bag of sugar, I stirred the contrasting layers of white milk, dark coffee, and brown espresso foam together and engaged in this most Spanish of habits, the afternoon coffee break. Having slurped down this thick, sweet caffeine boost, I headed out to explore the city. After heading down one of the side streets that leads out from the main plaza, I came across the nondescript façade of the medieval-era Church of San Pedro el Viejo. Entering inside, I found a plain, gloomy barrel-vaulted Romanesque-style church—nothing to write home about. As I stepped back out in the open air through the opposite door, however, I entered into a cloister filled with immaculately-preserved sculpture from the Middle Ages. 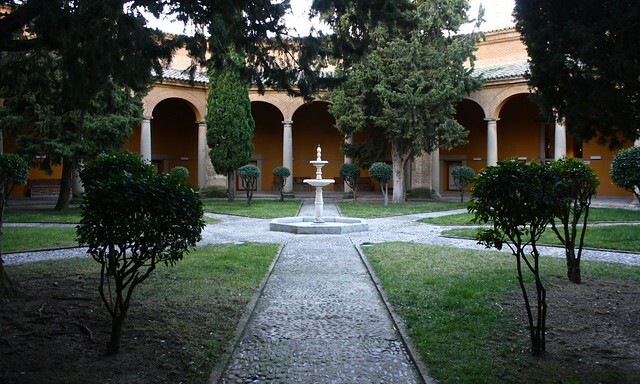 The small cloister was bounded by pairs of columns that shared ornate capitals (the part on top). 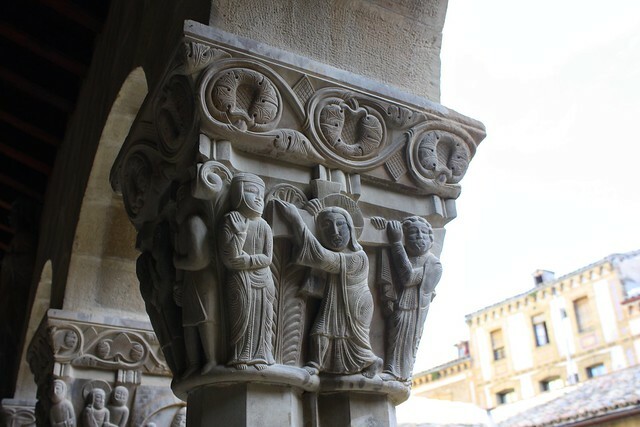 But instead of the simple “banana-leaf” capitals that Romanesque sculptors often added, the craftsmen at work here turned these column capitals into a “poor man’s Bible,” much like stained glass was used in the Gothic era for illiterate churchgoers. These highly-detailed bas-relief sculptures depicted the life and passion of Jesus as well as medieval legends and dragons. 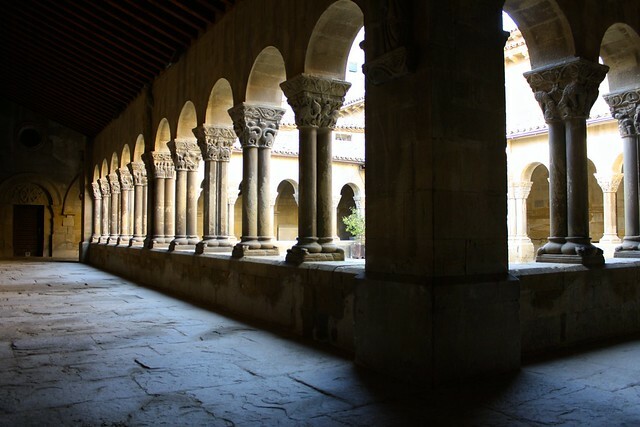 All four of the cloister’s hallways had these double-sided capitals to admire, so there was a lot to take in. It wasn’t long before I arrived at a spacious plaza partly shaded by centuries-old trees, bookended by a grand, Renaissance-era town hall and an impressive Gothic cathedral. True to form, this Gothic church was full of light; afternoon rays of sun poured in from the large clerestory windows, illuminating the warm stone arches and vaults. I really enjoyed hiking hundreds of steps up to the top of the eight-sided bell tower, though. 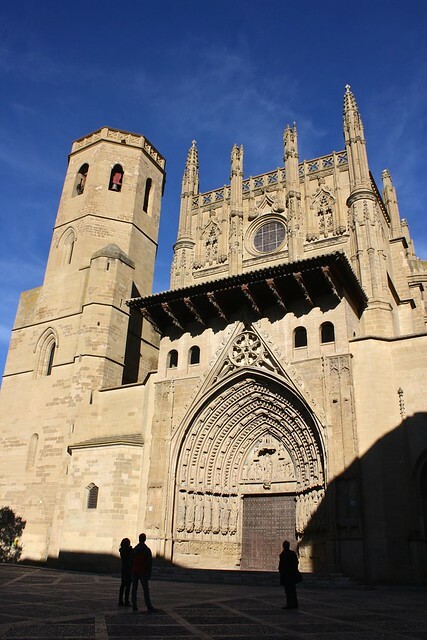 Reminiscent of Catalan churches to the east, the bell tower gave me unobstructed views of the whole city—the train station to the south, the various plazas and winding streets—as well as a taste of the mighty Pyrenees to the north. 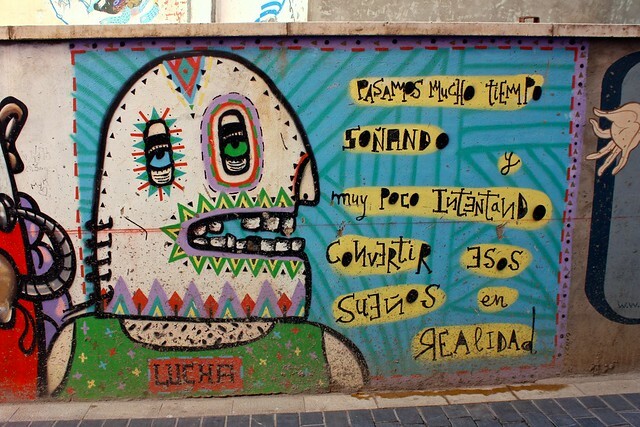 I was in no hurry to knock sights off a checklist, so once I returned to ground level I explored the town, basking in the relaxed, warm atmosphere—the first taste of spring and a welcome change from the bitter cold of Albarracín. My last stop was the provincial museum, a fine collection of artifacts housed in a unique ring-shaped building. One of its Romantic-era paintings depicts The Bell of Huesca, a legendary tale that involves less tolling-of-bells than chopping-of-heads…read the Wikipedia article for more! Like Zaragoza to the south, Huesca is also a major place for pinchos—baguette slices topped with anything and everything, held together with a toothpick and sold for 1-3€ a pop. I always thought the pinchos zone was restricted to the Basque Country, Navarra, and La Rioja, but apparently it stretches east into northern Aragón as well! Pincho joints were everywhere in the southern tip of Huesca’s old town, giving this far-flung city a lively atmosphere. After a few too many croquetas, however, it was time for me to head back home. 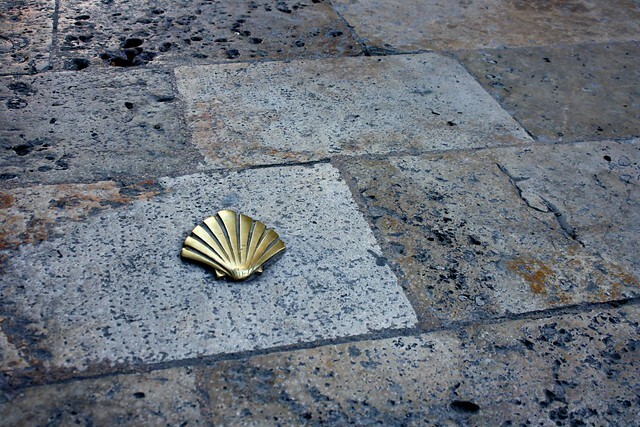 After all, in Spain, all roads lead to Santiago; in Huesca I even stepped on a little brass scallop shell, a symbol of the Camino de Santiago. What is your favorite off-the-beaten-track city in Spain? 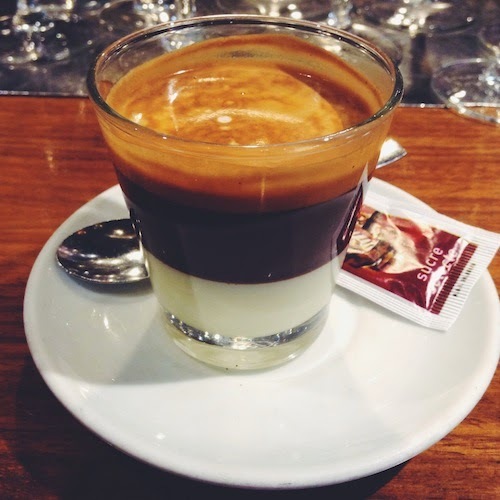 Do you like café bombón or have you tried something similar to it before? Tell me in the discussion below!